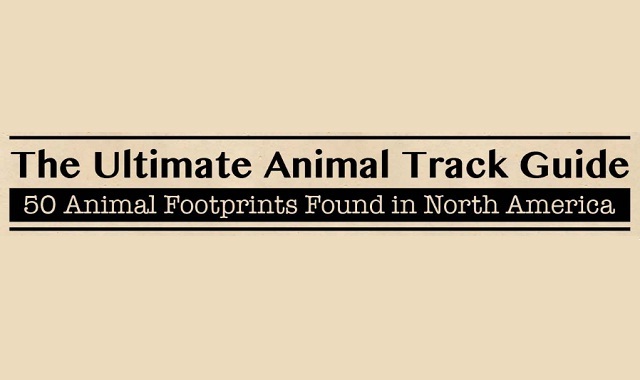 The Ultimate Animal Track Guide #infographic ~ Visualistan '+g+"
Whether you’re an animal lover, a nature enthusiast, or just like knowing if there are creatures nearby large enough to eat you, then you’ll want to explore this ultimate animal track guide! From birds, to herptiles, to mammals, to rodents, this graphic explores 50 different types of animals you may run into if you live in North America. This guide is especially useful to hikers. Take a glance at it before you head out on the trail, and you’ll be able to recognize whatever may be in your path during your adventure! If you live in an area that is home to a variety of wildlife, this guide will help you identify the animals that may be traveling through your property. This is very helpful if you have cats or dogs, as you can keep them safe from potential threats nearby, such as coyotes, wolves or even bears. Enjoy, and happy trails to you!